The term wristwatch usually remind us of a timepiece that can be worn on the wrist, right? Well, someone wanted to change this definition so came up with something to leave you awe-struck. 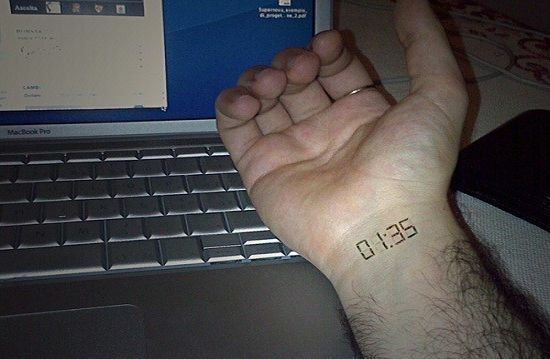 An electric Subdermal implant watch tattoo! LED screen is implanted under the skin which illuminates when you turn your wrist towards your face. Powered by your own kinetic energy, the electric tattoo watch need no batteries and somehow uses a wireless signal to sync up with an external clock. Isnât it simply awesome and innovative? ← A tattoo tribute to Michaael Jackson!